Featuring 20 Craft Beers On Tap And 30 In Bottles And Cans. 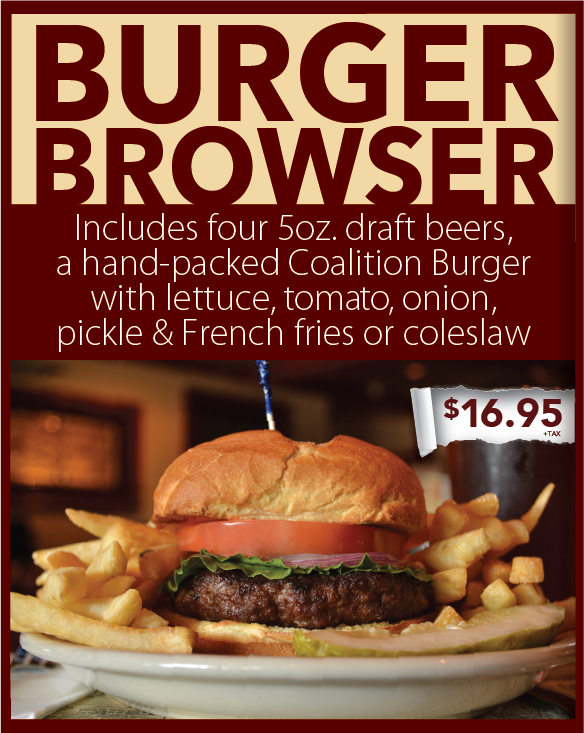 Brewer’s Coalition opened at 344 Walnut Street in Newtonville on August 13th, 2012. We are a neighborhood restaurant and bar with a focus on craft beer. We feature 20 craft beers on tap and 30 in bottles and cans. Our draft beer selection changes frequently, as we research and find interesting new selections from New England and beyond. You can sample four of our “on tap” craft beer selections by purchasing our Brewer’s Beer Browser which includes, four 5oz samples. We also have a full liquor license with a wide variety of spirits and wine.